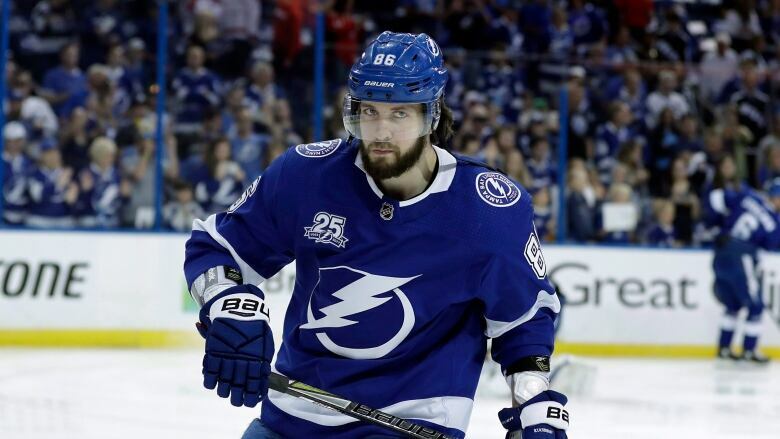 Nikita Kucherov’s frustration got the best of him and now it has cost the Tampa Bay Lightning their best player as they try to fight back from a 2-0 series deficit to Columbus in Round 1 of the Stanley Cup playoffs. With 4:26 remaining in Friday night's 5-1 home loss in Game 2, Kucherov tripped Nutivaara, who slid into the boards. As the Blue Jackets defenceman tried to get back on his feet, Kucherov hit him into the boards again. The Lightning forward, who led the NHL with 128 points during the regular season, was assessed a two-minute tripping penalty, five minutes for boarding and a game misconduct. Cooper says he hopes Hedman can play. But Kucherov is out after what the NHL called a "dangerous hit on a player in an exposed position." On Friday, the Blue Jackets built a 3-0 advantage and never looked back as Tampa, which boasted the league's best power play in the regular campaign, has failed to convert five chances with the man advantage in the series and has three goals in six short-handed situations. The Lightning outscored Columbus 17-3 in winning all three meetings in the regular season.